SLIA annual Design and Research based competition is one of the most desirable platform for the Architects in Sri Lanka to showcase their master pieces. Sri Lanka Institute of Architects (SLIA) was established as a small professional body on 17th September, 1957 and was known as the “Ceylon Institute of Architects” (CIA) with the assistance of the Royal Institute of British Architects (RIBA). 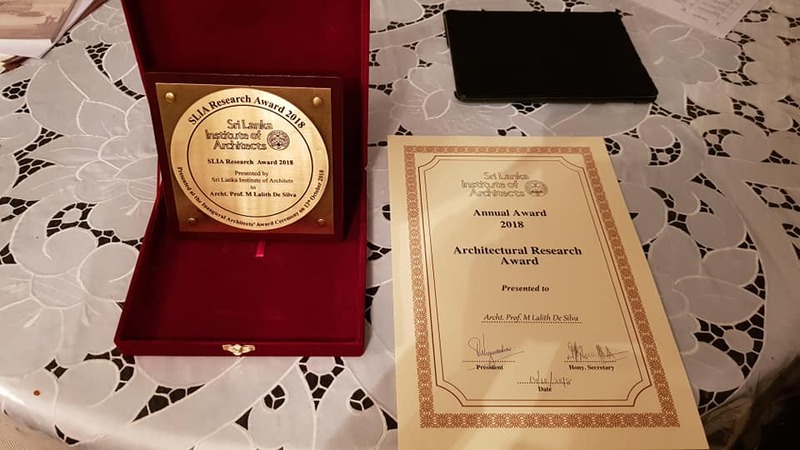 SLIA is the regulatory body of Architects in Sri Lanka to promote and advance the study, practice and application of and research in Architecture and its kindred subjects and the Arts and Sciences connected with it. There are 2 accredited architectural programs in Sri Lanka to follow Architecture namely B. Arch. Program at the University of Moratuwa and Higher Diploma Program at the City School of Architecture. 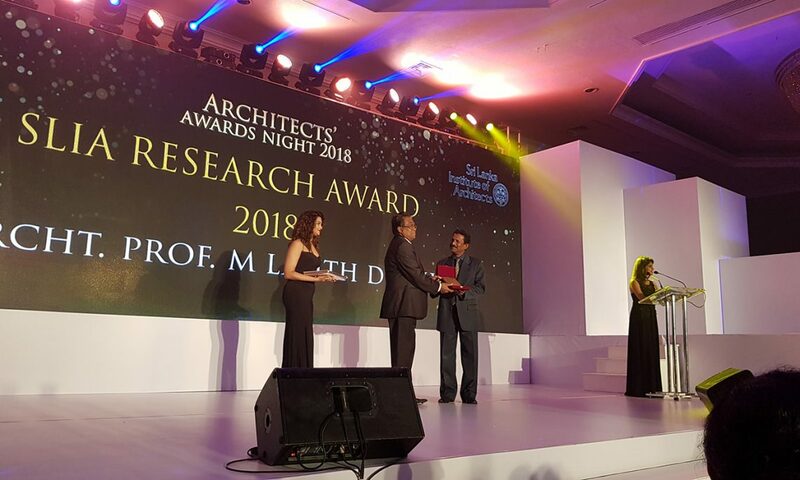 Congratulations to Prof. Lalith De Silva as the SLIA Research Award recipient 2018. This award recognizes an outstanding performance of the profession and academic contribution, whose efforts or service have gone above and beyond to make a difference in his career and in relation to the industry. Prof. Lalith De Silva is currently the Dean of the Faculty of Architecture of University of Moratuwa, and Professor of Architecture attached to the Department of Building Economics. He was also a Head of the Department of Building Economics University of Moratuwa (1999-2005). Appointed by H.E the President, Prof. Lalith De Silva was also a member of the Board of Management of Central Environment Authority (2010-2014), a member of the Board of Management of Urban Development Authority (2006-2009), and was the Chairman of Architects Registration Board (ARB) from 2007 – 2009. 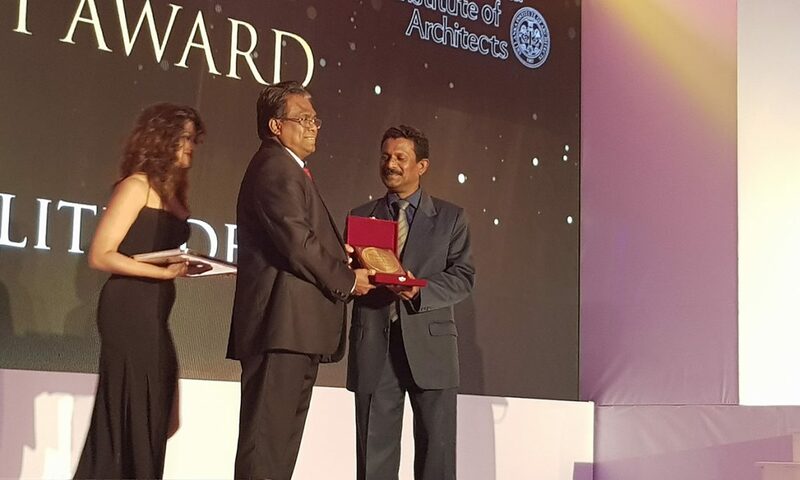 He holds Corporate Membership of the RIBA (Royal Institute of British Architects) and Fellow Membership of the Sri Lanka Institute of Architects (SLIA). 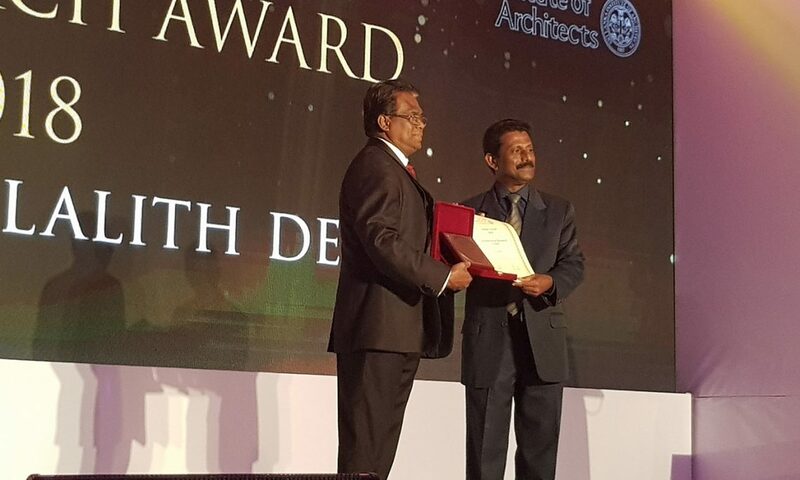 During the four decades Prof.Lalith De Silva spent as a well-rounded professional and an academic, his contribution to the public architecture realm has been untiring to the profession and the wider community.